A Guide to College Savings Plans - There are special college savings plans available to help whatever you can set aside grow into substantial savings. This guide is intended to help financial supporters of tomorrow's college students determine the best way to save money for college expenses. Affordable Colleges Online (AC Online) - Provides information about financial aid, college stats, and online colleges. Ask the Aid Advisor - This is a section of Finaid that allows you to email questions to a volunteer financial aid counselor. CollegeView - Find college, scholarships, financial aid, career and minority information, and more. Credible - Student loan refinancing. Also see Should I Refinance My Student Loans? Debt by Degrees - Data from the U.S. Department of Education shows how much federal student loan debt college students from low-income families are being saddled with. Use this interactive database to search among 6,000 schools in the U.S. to see how much they support their poorest students financially. Debt Collective - Student debtors and allies organizing to renegotiate and resist their debts. Educational Credit Management Corporation (ECMC) - The federal student loan portfolio; ruthless and aggressive and exclusive collection agent for the federal government. FastWeb - Uses the Internet to help students find scholarships for college. Matches each student's background with eligibility requirements for scholarships from around the country and advises them about scholarship opportunities tailored to them. Federal Student Aid, U.S. Department of Education - You can also call 1-800-4FED-AID. Federal Student Aid Data Center - Centralized source for information relating to the federal financial assistance programs. Pay As You Earn Calculator - Your loan servicer will determine your eligibility for Pay As You Earn, but you can check this calculator to see if you might qualify and estimate your payments. Pay As You Earn Plan - If your student loan debt is high relative to your income, you may qualify for the Pay As You Earn Repayment Plan. Most Direct Loans-except for Direct PLUS Loans for parents and Direct Consolidation Loans that repaid PLUS loans for parents-are eligible for Pay As You Earn. PLUS Loans - PLUS loans are federal loans that graduate or professional students and parents of dependent undergraduate students can use to help pay for college or career school. The U.S. Department of Education makes Direct PLUS Loans to eligible borrowers through schools participating in the Direct Loan Program. Public Service Loan Forgiveness - If you are employed by a government or not-for-profit organization, you may be able to receive loan forgiveness under the Public Service Loan Forgiveness Program. Repaying Your Loans - If you have federal loans, this Department of Education web page will give you a sense of your options. FinAid - A comprehensive source of student financial aid information, advice and tools. Free Application for Federal Student Aid (FAFSA) - Ensures that all eligible individuals can benefit from federally funded financial assistance for education beyond high school. Higher Ed Not Debt - A multi-year campaign of dozens of organizations dedicated to tackling the crippling and ever-growing issue of student loan debt in America. Higher Education Funding Council for England (HEFCE) - Distributes public money for higher education to universities and colleges in England, and ensures that this money is used to deliver the greatest benefit to students and the wider public. Institute for College Access & Success (TICAS) - Works to make higher education more available and affordable for people of all backgrounds. Journal of Student Financial Aid - A peer-reviewed outlet featuring works of significance in all areas of postsecondary student financial assistance. The official journal NASFAA, the largest postsecondary education association with institutional membership in Washington, D.C.
LendEDU - A marketplace for student loans and student loan refinance. 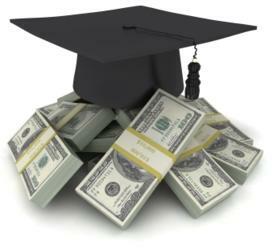 Also see How to Consolidate Student Loans Video Course. National Association of Student Financial Aid Administrators (NASFAA) - Provides professional development for financial aid administrators; advocates for public policies that increase student access and success; serves as a forum on student financial aid issues, and is committed to diversity throughout all activities. National Consumer Law Center: Student Loans - Proovides information about student loan rights and responsibilities for borrowers and advocates. Also seeks to increase public understanding of student lending issues and to identify policy solutions to promote access to education, lessen student debt burdens and make loan repayment more manageable. NewGIBill - Iraq and Afghanistan Veterans of America (IAVA) has partnered with College Factual to launch this brand new NewGIBill.org website and a more advanced and innovative benefits calculator for veterans to quickly determine their best and most affordable education options. 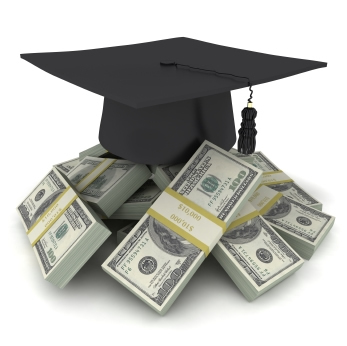 Pell Grant Program Materials - All Federal Pell Grant related materials are available here. Project on Student Debt - Recognizing that loans play a critical role in making college possible, the Project's goal is to identify cost-effective solutions that expand educational opportunity, protect family financial security, and advance economic competitiveness. The Project on Student Debt is an initiative of the Institute for College Access & Success, a nonprofit independent research and policy organization dedicated to making college more available and affordable to people of all backgrounds. SavingForCollege.com: The Internet Guide to 529 Plans - 529 plans are investment plans operated by a state to help families save for future college costs. Federal tax law provides special tax benefits to plan participant (Section 529 of the Internal Revenue Code). This site describes how 529 plans work - tax rules, planning strategies, and impact on college financial aid. Scholarship America - A nonprofit with a mission to mobilize America through scholarships and other educational support to make postsecondary success possible for all. Smith College: Center for Women and Financial Independence - The Toolbox page provides exceleent tips on student loans and extensive general resources. Student Loan Borrower Assistance - This site from the National Consumer Law Center provides valuable information about repayment options, avoiding and getting out of default, dealing with collections agencies, and much more. It also includes policy briefs, legal case studies, sample documents, and promissory notes not found elsewhere on the web. Student Loan Hero - A company that combines free easy-to-use tools with financial education to help young adults living with student debt improve their financial health. Student Loan Report - Student loan news and information. Also see Private Student Loans Guide and Resources and Guides pages. Student Loan Stress & Mental Health - A guide to help the growing number of people dealing with issues that may result from overwhelming debt, including: anxiety, depression, attention-deficit hyperactivity disorder, obsessive-compulsive disorder, substance abuse, eating disorders, and more. Also provides links to additional related resources. Student Loans: Avoiding Deceptive Offers - The Federal Trade Commission's fact sheet on ways to recognize and avoid deceptive student loan marketing. This webpage last updated on Friday, March 2, 2018 11:07 AM.